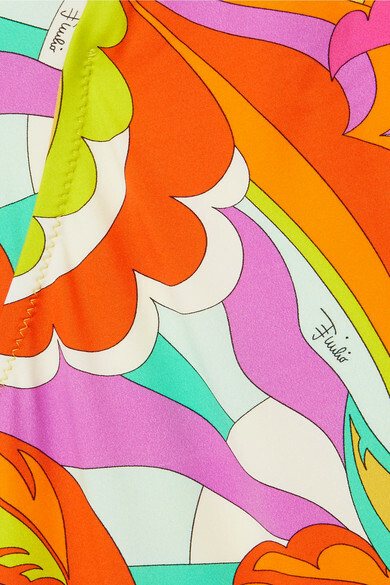 The vibrant archival swirls that decorate Emilio Pucci’s swimsuit will look even more striking against the clear blue oceans and white sandy beaches. Cut from sculpting stretch fabric, it has a cutout one-shoulder shape and colorful double straps. Wear it with a wide-brimmed hat while lounging poolside on vacation.